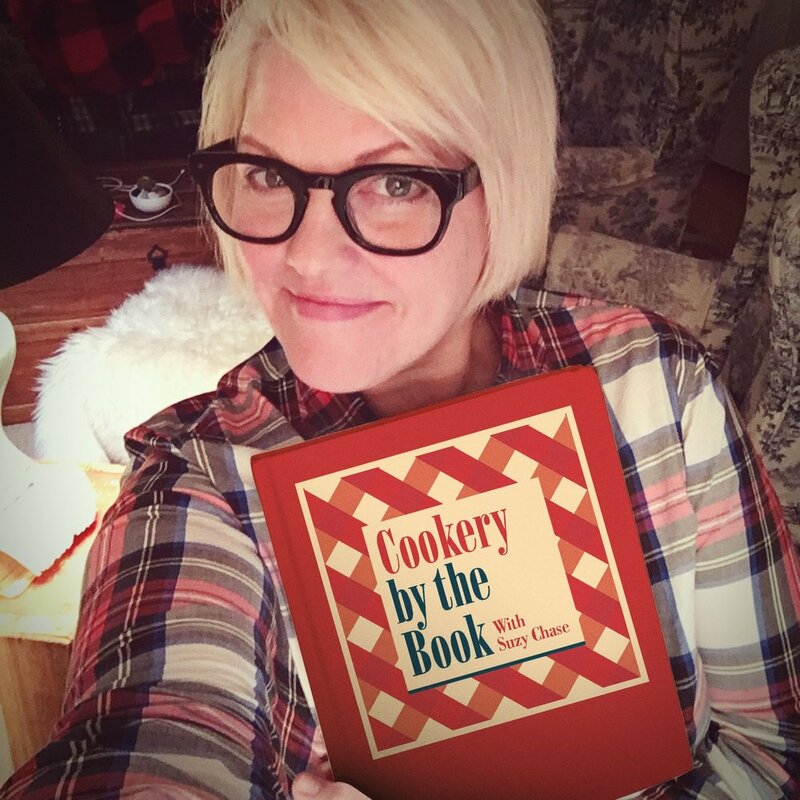 Suzy Chase: Welcome to the Cookery by the Book Podcast, with me, Suzy Chase. Eddie: My name is Eddie Hernandez and I just wrote a wonderful book called Turnip Greens & Tortillas. I'm the executive chef and partner for Taqueria del Sol. Suzy Chase: You call yourself a Southern boy who never worries about food correct. What exactly does that mean? Eddie: I don't know where the Southern boy got started. It was something that I said to a customer and I got stuck with the name. What I mean when I say I'm not food correct is because I think people emphasize too many rules on cooking and doesn't allow the home cook to really become what they can be, because you have to cook a certain way or another way, or you have to do things this way or their way. Well, I grew up in a house where there was no rules on cooking. It was he who cooks cook whatever he wanted to cook, and the other ones, they were welcome to it. If they didn't want to eat, well, then they're going to have to cook their own food. What I meant by that is that you should cook any way you like. I want to empower the home cook. Do your thing. Cook whatever you got. It doesn't really need to make sense, it needs to taste good. That's the bottom line. Suzy Chase: That's how it used to be, though, I thought growing up. Somewhere in the past I'd say 30 years that changed. Everything had to be completely correct and perfect. Eddie: You're absolutely right. I've been cooking for 30 years. It's many examples of how people where so dramatically about doing things one way. I had said before, "Listen, eggs are not just for breakfast. A steak is not just for dinner. A steak is for whenever I want to eat a steak and eggs are for whenever I want to eat eggs." There was a very well-known chef here in town, and he came to my restaurant. I knew him really well. I had a steak with a white sauce on the menu, and he went ballistic on me. That was a sin, a no-no. White sauces were just only for fish. I'd say, "Well, you bring me a book that says that I'm not supposed to do that. An etiquette book on cooking, and then I might think about it. But now this is the way I cook." He ordered the steak with the white sauce. After he got through eating, he came to me and he goes, "You know what? I really admire that you really don't care so much about what people think and you cook good food. That steak unbelievable." Eddie: Then he came to work for me. But people live in this world where they have to go by the rules all the time. Cooking should be a time to enjoy. It needs to be good because you think it's good. Suzy Chase: Nearly 30 years ago there was a guy named Mike Klank who hired you for your first waiter job at a Tex-Mex restaurant. Little did he know you were the best thing to happen to that restaurant. Describe how and where it all started with a bag full of turnip greens. Eddie: Well, in 1987, I came to Georgia to visit a friend. I was already living in Waco, Texas, at the time. I just wanted to spend some time away from everything. From the music, my friends, just get away. I came over here to take some time off away from everybody. There was a restaurant that was about to open, and my friend said, "Why don't you get a job? I know you can cook. Stay here." I said, "Man, I don't think I really want to get a job in the kitchen." He bet me a case of beer that I was just afraid to ask for a job because I wasn't going to get hired and I said, "Oh no, I will definitely get hired. I know." So I took him up on the bet and we pull up and we went inside. Of course my hair was all the way to my shoulders, I had the earrings, the bracelet, typical rocking wannabe individual. Mike was there, and I went to talk to him and I said, "Are you hiring?" He goes, "What are you looking for?" I told, "Well, I'd like to be a waiter." He goes, "Okay. When can you start?" I said, "Anytime." He says, "Tomorrow?" So it is. The next day I showed up and I became a waiter. Three days later I don't know why I went and told him, I said, "All these people are not coming back." He says, "Why?" I says, "Because of the food the bad and the service is worse, and I'm one of the waiters." He look at me like ... But in those three days, he and the kitchen staff saw me that I would go to the kitchen and make my own food, because they were so slow. I make my own dishes. I would cook something for me to eat so they already had a sense that I knew what I was doing. Mike said, "Can you cook?" I said, "I can do better than what you're doing right now." And he says, "Okay. Tell me what do we need to do?" So we work up a deal. One of things is that I really like Mike as a person. I thought that he was a straight shooter and that he was going to treat me with respect, somebody that I wanted to work with. He went to the kitchen and fired the chef, I took over the kitchen. I said, "I'll get this thing straight in three days," and he goes, "Okay." I'm glad I said three days, because I would have said four, I'd be looking at 10 more years. Those three days became 30 years so far. I'm still in the kitchen. I didn't want to do it at the beginning but now I love it. Suzy Chase: Wow. It's crazy how moments like that change your whole life. Eddie: I'm telling you. Sometimes it's unreal. I just can't believe that him and I, we've been working for so long. Suzy Chase: As an example of your creativity, tell us the story about the bag of turnip greens. Eddie: There was a man named Bobby Avery and his wife, Jaunita in the very late 80’s like '88, '89. He was a regular customer already by then. He showed up with a bag of turnip greens one day on a plastic bag. He gave them to me and he said, "Eddie, if anybody can make this thing famous, it'll be you." I said, "Thank you," and I took them to the kitchen and they went bad because I really didn't know what to do with them. The next Friday Bobby showed up again with another bag and I felt bad, so I went to Mike and I said, "Mike, what is this?" He says, "A turnip green." I said, "What do you do with it?" He goes, "Well, you cook it and we eat it." I said, "Well, how do they cook it?" He says, "Oh my god. Get in the car." We went out to eat lunch at a couple of restaurants over the next week or so, so I see what people did with them. It made no sense. They were bitter. I went back to the restaurant and I changed everything. I did it differently than the Southern people were doing it at the time. I got a lot of grief because I didn't cook them the way everybody else did and I said, "Well, I don't care. If you don't like them, you don't have to eat it. But this is how I do it." I had refused to make cornbread. I said, "No, because we eat them with tortillas in Mexico." That's a true story. We're talking 1989 and in my dreams did I ever thought that turnips greens and tortillas would be the title of a book. I was not the one that named the book. I never thought that those two little words become a title of a book. I just said, "In Mexico we eat the turnip greens with tortillas. Tortolitos." I said, "So I'm not going to give you cornbread." People used to sneak cornbread into the restaurant. It was funny because I catch him and I go, "What are you doing?" He goes, "But you won't make cornbread," and I said, "It's a Mexican restaurant for God's sake. You eat with tortillas." Eventually I give in and I started making cornbread. Now I make it all the time. As I grew as a cook, and I learned more about the ingredients available in the South and all this and that, now I make blue cornbread. I do popcorn cornbread. I do all kinds of cornbreads now, and I really like it. I learned to assimilate the culture that I was in, which it was the South. I learned to love it. I love the fact that people still says, "Good morning," and, "Hi," and, "God bless you," and, "Have a good day." I grew up in that culture in Mexico where people always say, "Good morning." Even if they didn't like you, they will still good morning to you because that's the way we grew up. Here we are 30 years later, that recipe has never left the restaurant. It's been our menu ever since. Suzy Chase: What's your favorite type of avocado and what do you look for when you're buying avocados? Eddie: Well, we always try to use Hass. We always have. Because I love Mexican avocados, but they're a little bit more buttery. The pulp, it's a little bit thicker, it's less fluid and less oily, so it looks different. The flavor is a milder not as sweet flavor, it has more of an avocado flavor to it. But if I had to use a different avocado, I will go to Mexican avocados. You want a firm avocado. You don't want it mushy. If you look at the picture on the book, you'll see that you can see chucks of avocado. That's how we like our guacamole to be. I want to be able to taste the avocado when I take a bit into it. I want to run into a piece of onion or a jalapeno, and that gives me another burst of favor in it. That the jalapenos are roasted. Not roasted, but warm. You put them in a pan with a little oil and you cook them a little bit, it takes the green flavor of the jalapeno away but it retains the heat and the taste. But it doesn't taste green so it doesn't conflict with the flavor of the avocado. We use lemon rather than lime because it doesn't cook the pulp of the avocado. It maintains the flavor of the avocado there's a reason for everything when I cook. I try to think about what the ingredients will do to each other throughout the cooking or throughout this and that. That's why it's different. Suzy Chase: Food is history. Food has a story. What does this cookbook represent to you? Eddie: I wanted a cookbook that people can actually cook better. I like to read a cookbook that has a story. Each dish on any cookbook should have a story on why the dish came alive. We tried to do that in Turnip Greens and Tortillas. Suzy Chase: Over the weekend I made your recipe for Pico de Gallo on page 202, your Salsa Frita on page 204. I could literally eat salsa every day. One thing that struck me was how different these two salsas tasted, but they had almost the same basic ingredients. The only difference was that the diced tomatoes were cooked in oil for the Salsa Frita. Can you talk a little bit about that? Eddie: If you go through the book and you see we got a good selection of salsa. They're basically the same ingredients all the time. It's the time that you manipulate the ingredients that make the salsas different. Even if all the other ingredients are the same ingredients, the fact that the jalapeno is cooked differently will affect the flavor of the salsa. But then you take the tomato. You keep everything else the same but now you're going to fry the tomato or you're going to boil it, or you're going to steam it, you're going to warm it, and that changes the flavor of the salsa. With five ingredients you can actually create 25 different salsas that will not look or taste the same based on what you do to the ingredients. In the book, I hope the people will get that idea, that everybody can make a green salsa, but why is this salsa different than the other one? Well, it's because what we do to the ingredients. For the salsa frita, it's one of the simplest salsas you will ever find, but you cannot argue that it's a really good salsa. Tomatoes, jalapenos, and salt, and a little oil and you get this wonderful salsa that goes so well on top of fried egg or mixed with potatoes and sausage or put on top of a cheese enchilada. You can do amazing things with everything in the book and that's what I want people to be able to go, "Okay, this is a wonderful salsa, I'm making me burritos tomorrow with that," or, "I'm going to make me chicken enchiladas," or, "I'm going to make me a fried egg," or, "I'm going [inaudible 00:14:05]." That's the beauty of cooking, when you learn to use what you have in ways that are different than the one before. Then you start growing as a cook and eventually you become really good at it. Suzy Chase: I also made your recipe for Poblano Corn Chowder with Shrimp on page 121. Suzy Chase: It was my whole Sunday and I had such a blast making all of these recipes. They were all incredible. But describe this chowder, how it's basically a modified lobster corn chowder. Eddie: I did a plate-off with a classical French ... I went over there and he was going to tell me how to do the ducks in sauces, and reduction sauces and demi glazes, and really neat stock. In return, I was going to teach him how to implement peppers into his cooking so he can modernize his French cooking ways. I saw a lobster chowder in there and I really like it. Lucky for me or I don't know why, I go, "This could be really good if ... It needs texture." That was the first thing I said, "It needs texture." I added the poblanos, I added the onions, I added the different types of corns to it, then used all heavy cream instead of end up using half-and-half and modernized it on a way that he actually have never seen. I added shrimp to make it affordable rather than the lobster, because not all of us can afford lobster every day. But you can always get some shrimp. That way you can do the soup and I it won't cost an arm and a leg. I just took the chowder idea and make another idea out of what I thought that I can do by using what I had, which is a variety of peppers and vegetables, to recreate the chowder on the way that I envision it. Suzy Chase: This is one of those cook books that you could leave out on the kitchen counter and make something different every night of the week. That's why I love it. Eddie: That's probably the biggest compliment I got so far. I said this to Susan Puckett, I said, "Susan, I want a cookbook for the kitchen. I don't want a cookbook for the coffee table." Suzy Chase: Before we wrap up, can you talk just a little bit about Susan Puckett and what she had to do with this cookbook, and how you know her? Eddie: First of all, she should be lucky that I didn't kill her when we got started. We clashed big time. She's a food editor, she knows all about correct food and politically correct recipe, and I am not. She was going, "Well, you have to do it this way," and I go, "No. I don't have to do it that way." We had a hard time from the get-go, until I said, "Let's do this something. I want you to try making the recipes. I want you to test them." She's quiet, and I said, "That way you can get in my head and you can really see how I think. Because the way you think the way to cook is not the way I see it. Let's get started with a little something simple, and then we'll progress from there on." I got her to start cooking the recipes. When she did one not the way I said so, I caught her and I got so mad at her. I said, "You cannot change food without even knowing what it's supposed to taste like. Make it the way [inaudible 00:18:00] this time, then you can change it. You have the power to do it the way you like it later, but you have to trust me." I said, "Because I trust you. I know you're going to write a good book, but you have to let me write the recipes." She started cooking and eventually she became a fan. But her way through the process, she was already going, "Oh, we need to put that recipe on the menu. Oh, we need to put that other recipe on the menu." Finally one day I said, "Susan we are not writing the bible. Come on. You gotta stop it. This is what we want to put in the book, this is what everything thinks that we should do, and I agree with some of them." Then we started working really good. We got into it, we really want to work hard on it. We worked really hard for the last year, and then we got through and it was a let-down. There's nothing else to do with the book. It was like, "I really want to keep on cooking." We still eat breakfast together. We became really good friends. We're really good foodies, the two of us. We enjoy trying new things and I think she learned a lot about cooking by working with this book. Since I write it, I don't think she needs any help. As a cook, yes, she needs divine intervention. But nevertheless, she can cook out of Turnip Greens and Tortillas. Suzy Chase: Where can we find your restaurants? Eddie: We have four in Atlanta. In the City of Atlanta we have four. We have one in Athens. We have two in Nashville. If you go to taqueriadelsol.com all the locations are listed there with the hours of operations for all the restaurants. Suzy Chase: Where can we find you on social media? Eddie: You can find me on Eddie Hernandez on Facebook or chefeddie1@taqueriadelsol, on Instagram and on Twitter @chef135. Suzy Chase: As your grandmother said, if you want to eat it, then learn how to make it for yourself because I'm not going to be here one day and who's going to cook it for you? Suzy Chase: With that, I thank you for learning and writing this cookbook and coming on Cookery by the Book Podcast. Eddie: Thank you so much. Suzy Chase: Follow me on Instagram at Cookery by the Book, Twitter is @IAmSuzyChase and download your Kitchen Mix Tapes, music to cook by, on Spotify at Cookery by the Book. As always, subscribe in Apple Podcasts.